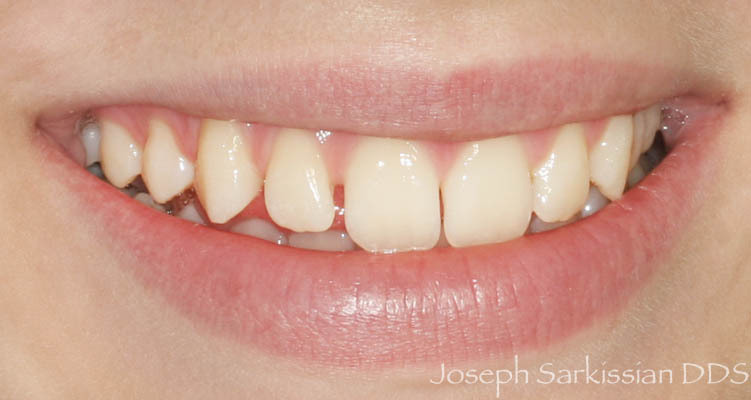 The upper lateral incisor is one of the most common teeth which may present itself narrower than average. 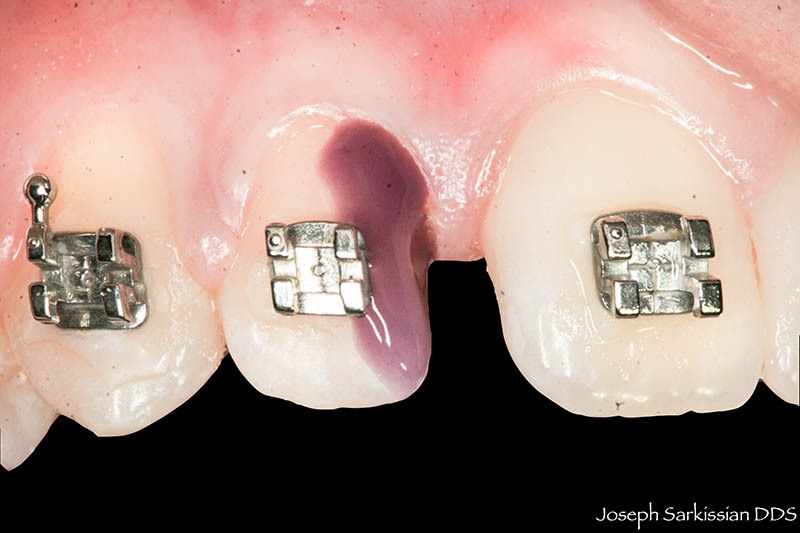 This genetically determined feature is not a bad thing, however when we try to expand the arches and align the teeth, we will be creating extra spaces around these teeth. At this point, the only way to close the spaces are either to make the upper arch smaller again, and push the teeth together (or backwards), or to keep the spaces, and to make the teeth bigger. This will allow us to preserve a wide arch, with a wide and beautiful smile, along with proper lip support, which is so crucial in girls and women. 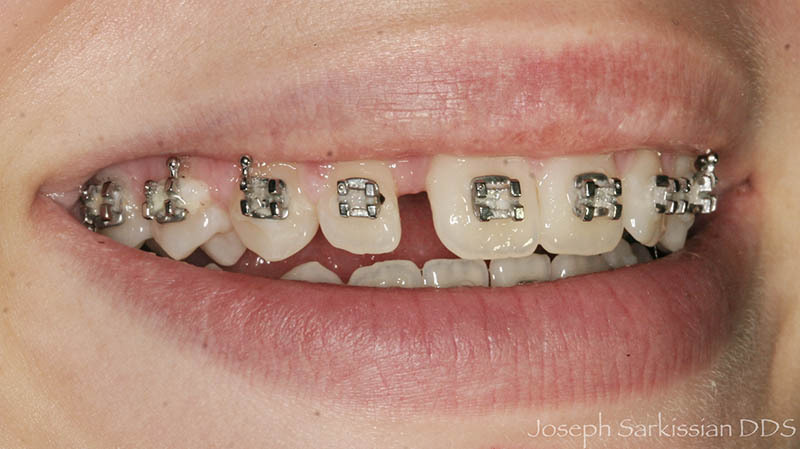 This girl has a beautiful smile to begin with, and just some unevenness in her teeth. We will be placing braces. 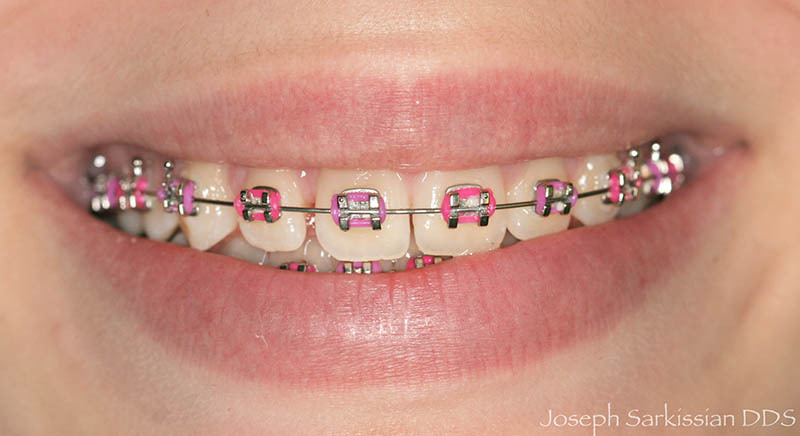 The first phase of the braces involves some expansion and aligning teeth and their roots. 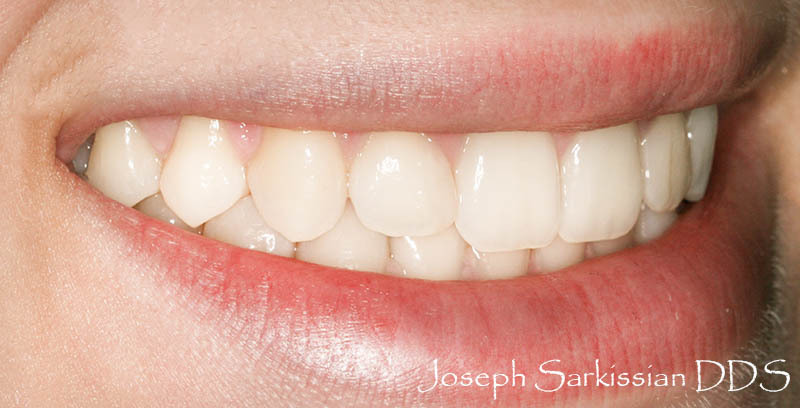 We have decided to make the lateral incisors larger, therefore tiny springs are placed in the space where we want to add composite. Initially we want to create a slightly larger space than needed, to be able to comfortably work and shape the addition. We would do the same on the other side, and regulate the spring forces so we eventually have even spacing to preserve symmetry. The space is open and ready after a few months. 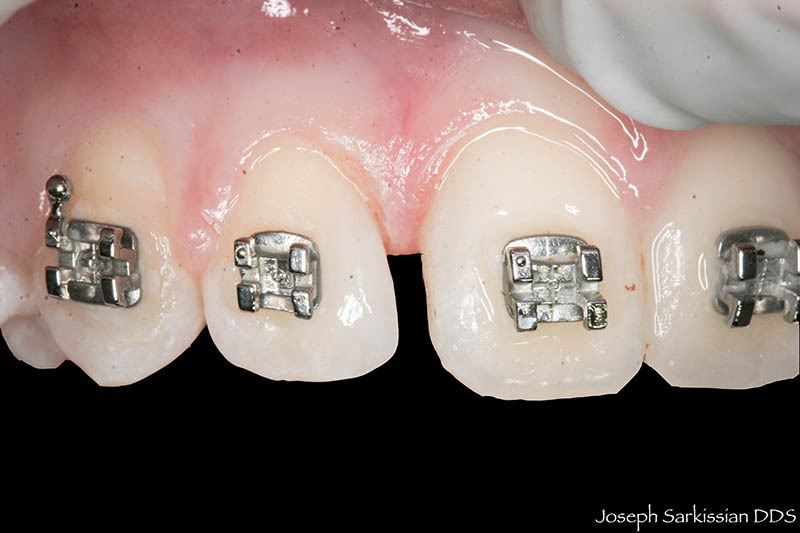 The tooth surface is cleaned and sometimes even roughened with airabrasion or a low-powered laser. There is no drilling involved. This is technically a fully reversible procedure. 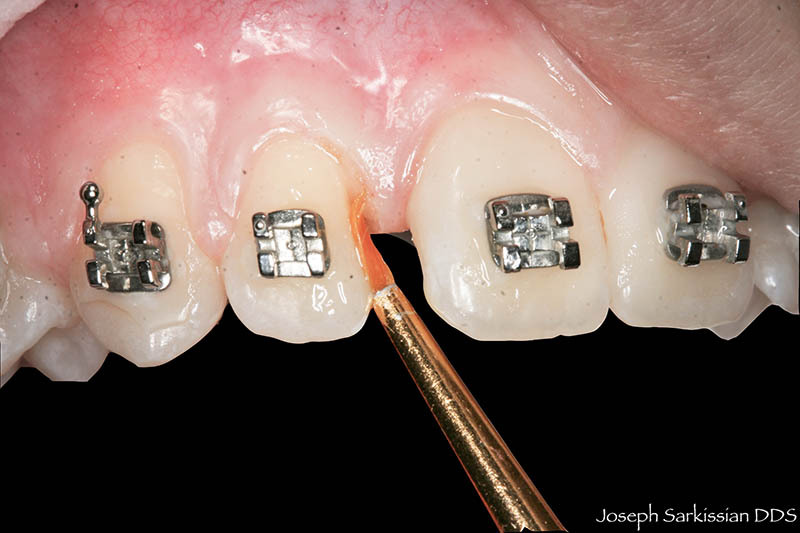 A laser is used to trim the gum triangle if it prevents us from adding composite. 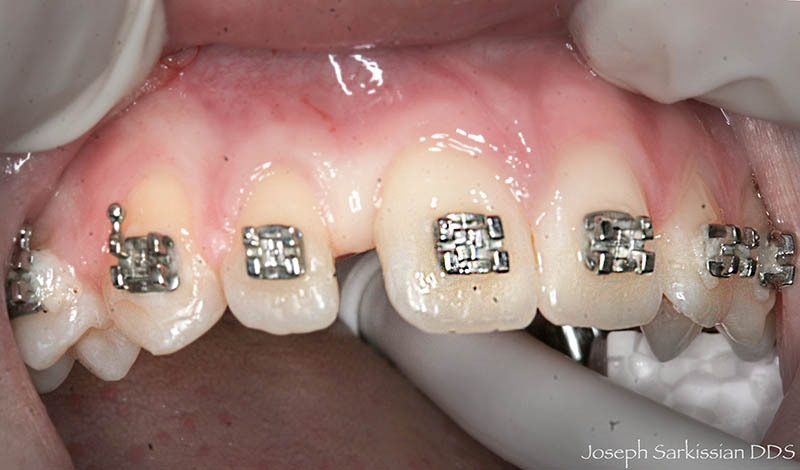 The tooth surface is etched prior to bonding. A bonding agent is applied to the etched surface. The composite is added in portions and polished. The wire is placed back and the teeth are allowed to settle in (or a new spring is placed on the other side to repeat the process). 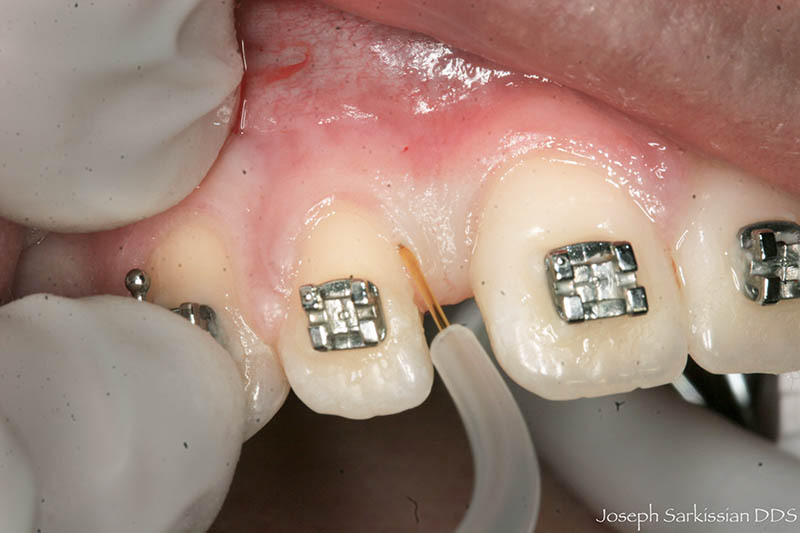 The tiny space remaining will eventually close up, or if not, we close it up using elastics. This girl now has a beautiful smile after all the braces were taken off. Her orthodontics took less than a year.